I used to think that teaching students to become great readers meant that I showed them as many reading strategies as I could and then we would practice each one until they could do it practically in their sleep. Connections – check. Predictions – check. Inferring, visualizing, character changes – check, check, check. We had our strategies under control. I used to think that providing my students with as much time as possible to discuss reading would make them stronger readers. After all, through the talking they would be able to dig deeper into their own process and mimic others. I used to think that my students constantly had to stop and jot so they could record and prove their thinking on little post-its. That the more post-its they had in a book, the better of a reader they were becoming. I used them for proof that they were growing. I used them for proof that they understood the steps. I used to think that reading was all about talking. I used to think reading was all about taking it apart. I used to think reading was all about proof. Now I know that reading should be about reading. That in all of that talking there was very little reading. In all of that jotting there was no room for flow or getting in the zone. That in trying to give the teacher proof that they were reading, they were losing valuable reading time. We stopped all of the time. We lost independent reading minutes because we had to make sure we had something written down. For students to become better readers, they need time to read. We know that, I know that. Yes, they need strategies, yes, they need to speak about reading, yes they need to think and grow, but what they need most of all is time to read. Every day, any chance, and it needs to be uninterrupted. So now as I plan my days, my sacred 45 minutes I get with every class, 10 of that is dedicated to no-talking, uninterrupted, choice based reading. 10 minutes of quiet in the zone reading where no one tells them what to do. I wish it was more, the students wish it was more, but it is a start. It is their chance to read, everything else comes after. Everything else is less important. What do you do in your room to preserve independent reading time? We start each class with 15 minutes of independent reading. The students are reading books that interest them. They’re reading all genres and all levels. All of this reading is their own choice. I love the routine of walking in the door and opening a book and so do my students. Rarely do I have to tell them to open their books, they just do it. My students have cried, laughed out loud, shut their book and shook their head, and passed the book to their neighbor so they can read the part that created the emotion. Reducing the amount of homework students must do each night is also essential to giving them time at home to read in a relaxed and familiar environment, at their own pace, and without pressure or judgement of their reading choices. Pernille, Providing time for self-selected reading daily is so important. I’m with you on encouraging teachers to reflect on how they promote real reading in their classrooms! This year I changed my reading program. Now almost each day we start with independent reading time, usually 15 to 20 minutes. The lessons come after. 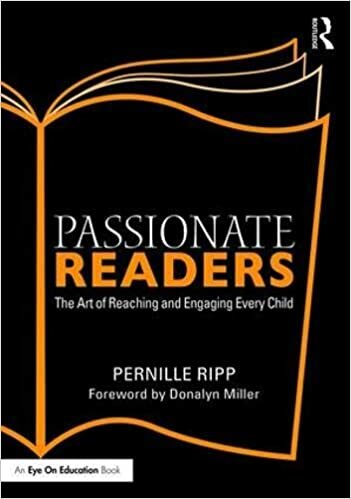 I am still working through what a great reading program looks like and how to successfully build strategies into the program but what I do know is that the attitude towards reading has completely changed. I hear cheers from those who rarely read books last year, the sharing of must reads continues to grow and the best evidence that students need this independent/don’t interrupt me time to build their love of reading is when a 12 year old boy who last year would never read on his own time brought his book to the Christmas assembly to read as the gym was loading because he “was at a really good part and didn’t want to stop”. Best reason of all to give your students time to simply read for enjoyment! Ah…..we’re beginning to see behind the curtains more and more these days. I’m wondering if this standardization nightmare may turn out to be something that instead enlightens teachers even more. 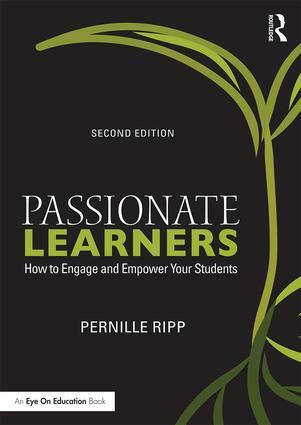 A learning revolution is coming…. So simple but so true. The opportunity for self-selected and self-regulated reading is very important – and we need to make the time for students to do so, and we need to show that we value it too!